Tapulanga Foundation blog: FUN, FOOD, FESTIVITY!!! makes it HEARTY for EVERYONE! 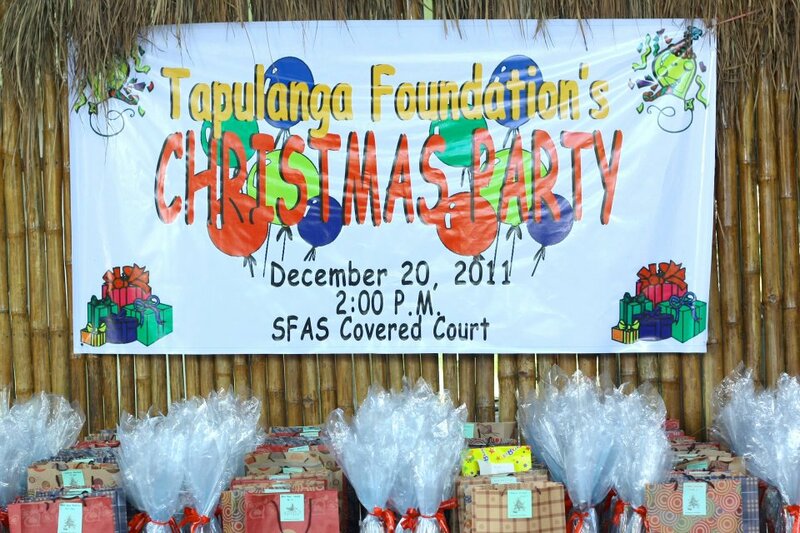 A true spirit of sharing filled the ambiance of the recently celebrated Christmas party of the Tapulanga Foundation held last December 20, 2011 at St. Francis of Assisi School covered court. The Christmas package of shoes, t-shirt, groceries, a plate and toothpaste was fully distributed to all its beneficiaries, 246 scholars from preschool to college, including the ham package for the 35 SFAS faculty and staff. The afternoon celebration included a variety of games hosted by McDonald's, free balloons, free ice scramble and cotton candy, games like inflatable balloons and a trampoline, and more than one hundred raffle prizes. 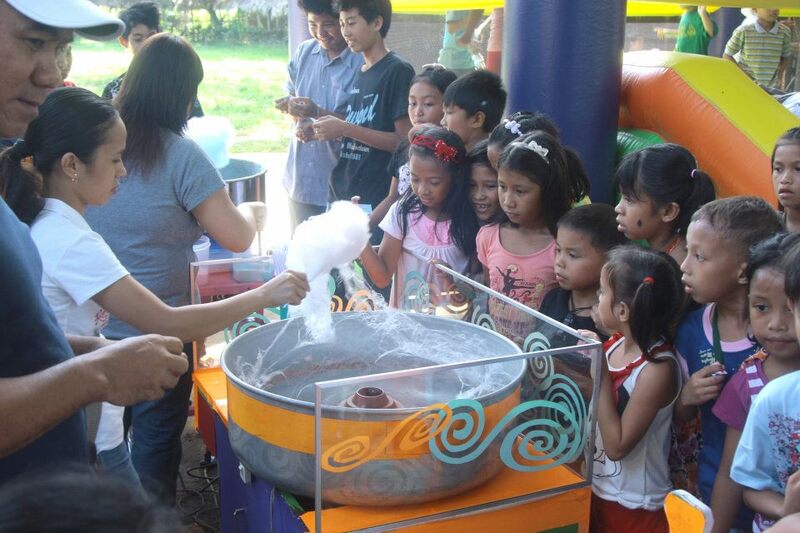 Thanks to WARNER BROS., INC. for donating most of the raffle prizes. 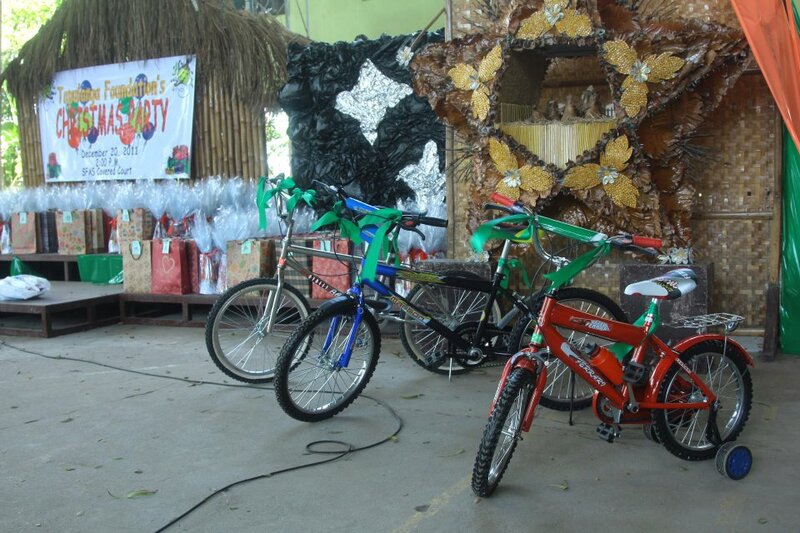 Three lucky winners won bikes as the grand prize. What more could everyone ask as each one's hand was full during the day. 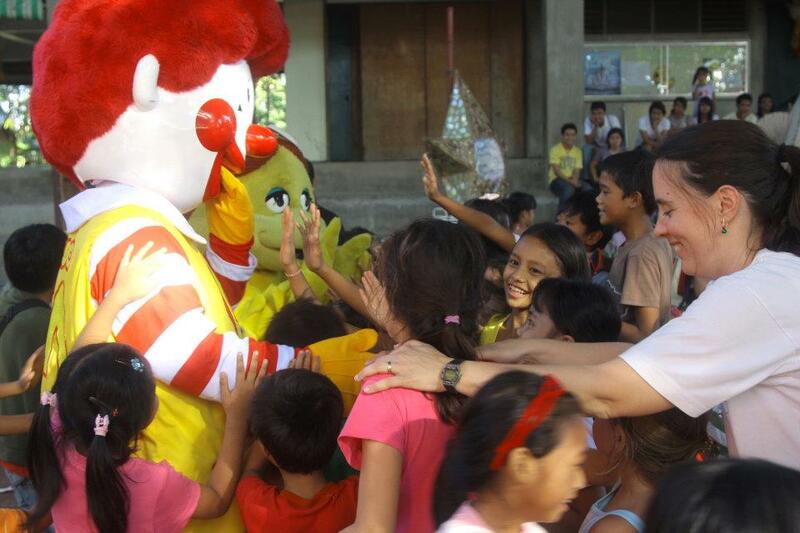 Mr. Gerard Yusay celebrated his birthday by having his family join the festivities and sponsoring the McDonald's snacks! 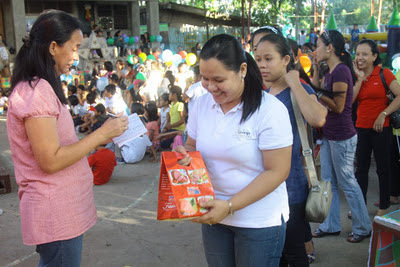 Other donors and their families graced the occasion as well to be with the scholars like the Abello's, Ledesma's, del Rosario's, Calanog's, Benin's, Janice Ragona, Trixie Servida, and Ervie Gallespen. 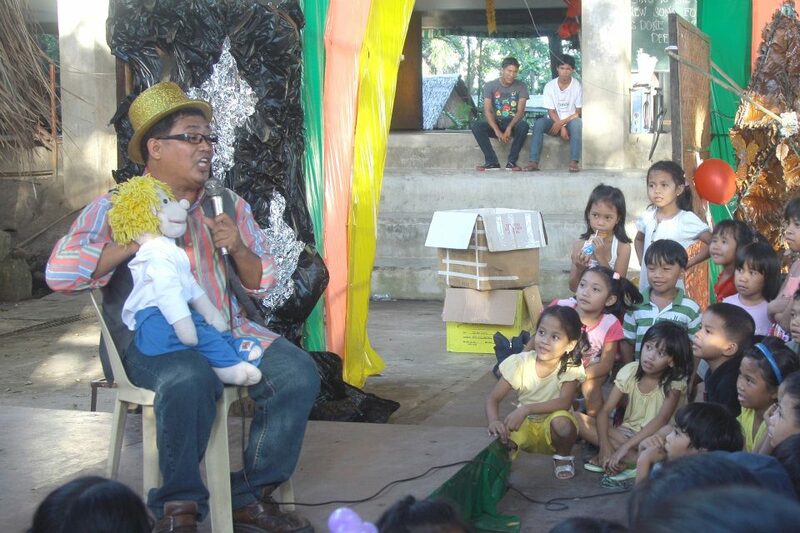 The kids further got another fun gift from TF----- the Magic show by Magician Ivan! 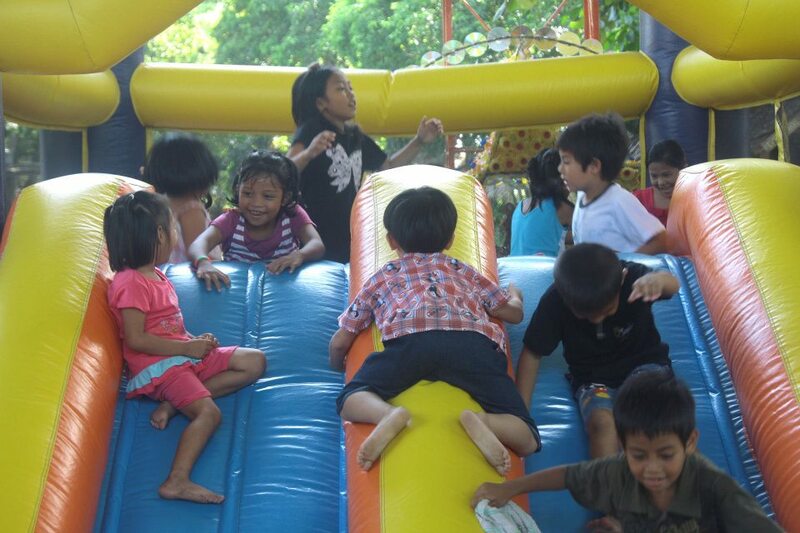 Beaming faces obviously showed that fun was to a heart's content. 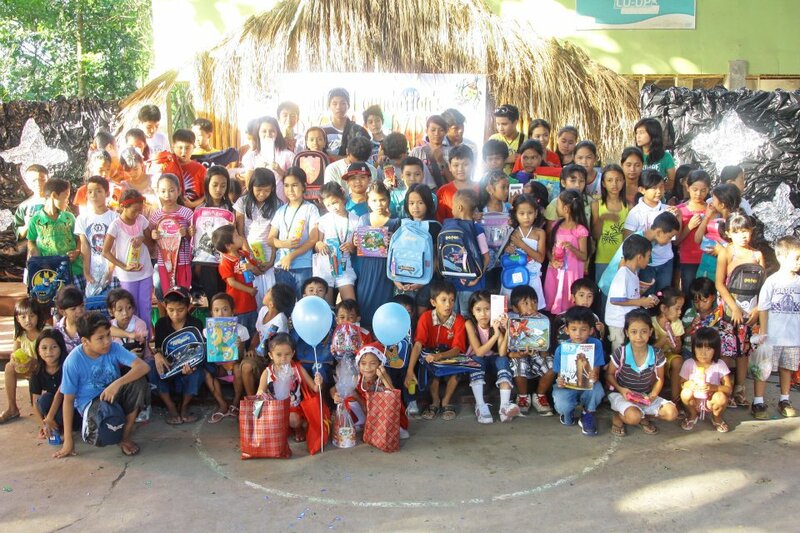 The scholars are the reasons why patrons and donors are driven to reach out and help the less privileged. The grateful and appreciative gestures gave way to a worthwhile December affair for all who came. 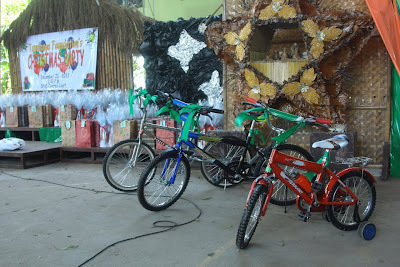 Check out our Facebook fan page for more pictures of the event: Christmas Gift Giving 2011.